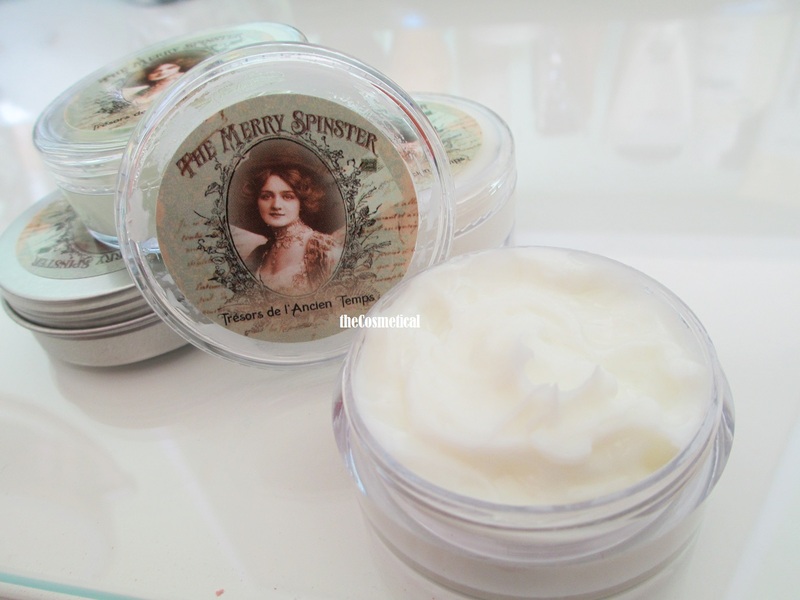 I recently had the opportunity to try some products from The Merry Spinster. Heather has an awesome shop on Etsy full of natural body products. I tried a couple of lotions, a body butter, and a lip butter. 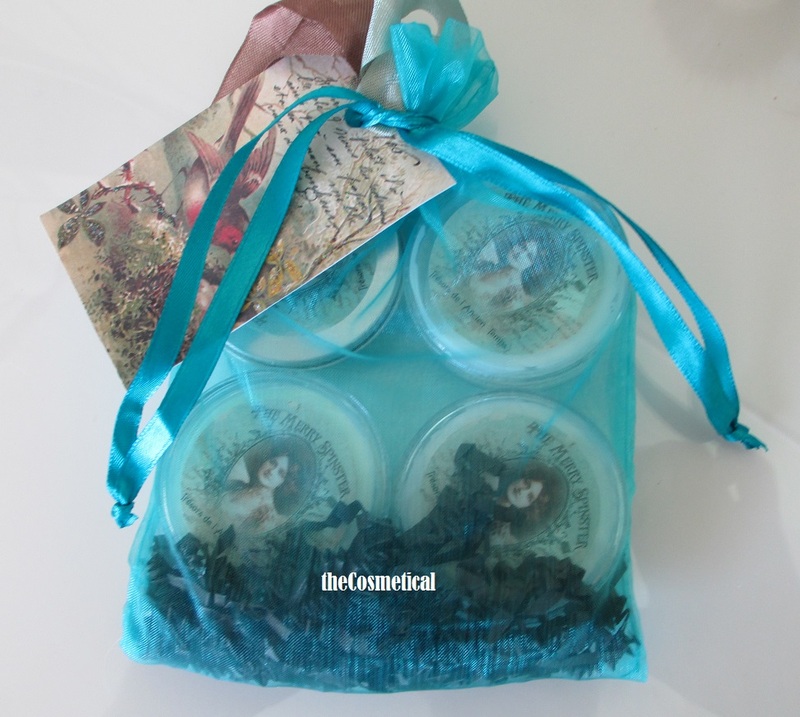 They came beautifully packaged, and she is offering free gift wrap through the holiday season. The first product I have is a body butter in Vanilla Sandalwood, which is $12 for a 4 ounce jar. The scent is strong in the jar, but on the skin, dissipates to a light, long lasting sandalwood scent. The body butter contains shea butter and coco butter as well as other natural oils. I typically don’t use a lot of body butters because I don’t like the heavy feel, but this feels very light on the skin. It is super thick and creamy in the jar. On the skin, it spreads evenly and a little goes a long way. It soaks in very quickly and doesn’t leave skin feeling greasy. This is a great choice for an all over body lotion. I also tried a couple of lotions, also $12 for a 4 ounce jar. I tried Orange Vanilla and Coconut Lime Verbena. Again, these are strongly scented in the jar, but on the skin, the scent dissipates nicely so that it’s not overpowering. Orange Vanilla is my favorite scent of the products I tried. The orange is citrusy, nice and light, and the Vanilla adds a bit of warmth. They are a thicker lotion full of shea butter, perfect for dry winter skin. The lotion soaks in quickly leaving hands and skin feeling moisturized. I did notice that the Coconut Lime Verbena left my hands a bit greasy feeling, but not the Orange Vanilla. Personally, I prefer these as a hand lotion. The Black Cherry Mango Butter Lip Balm is also a great product. It is a potted balm for $3, a mix of butters and oils, including (my favorite!) coconut oil. This lip balm feels nice and thin on the lips, but is super moisturizing. This last a couple hours on me before I need to reapply, less if I am eating/drinking. 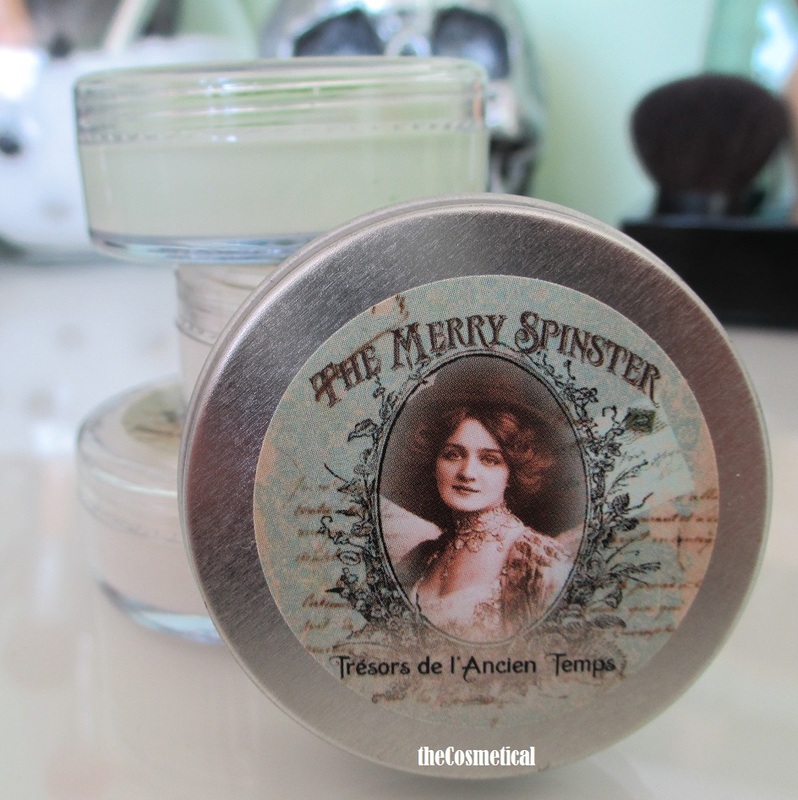 Overall, I have really enjoyed these products from The Merry Spinster. Not only do they work well, but I love supporting small businesses whenever I can. The Merry Spinster can be found on Etsy, where she sells naturally died yarns in addition to her Bath and Body products. She also has her own blog, and you can follow her on Facebook. *The products in this post were provided by the company for review. 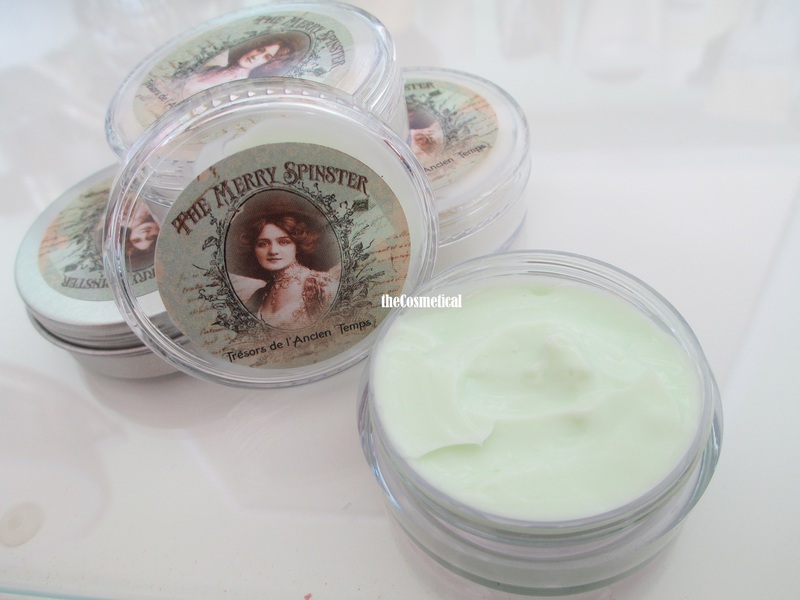 This entry was posted in The Merry Spinster and tagged Body Butter, Lip Balm, Lotion, Natural Skincare, Skincare, The Merry Spinster on November 22, 2013 by thecosmetical.